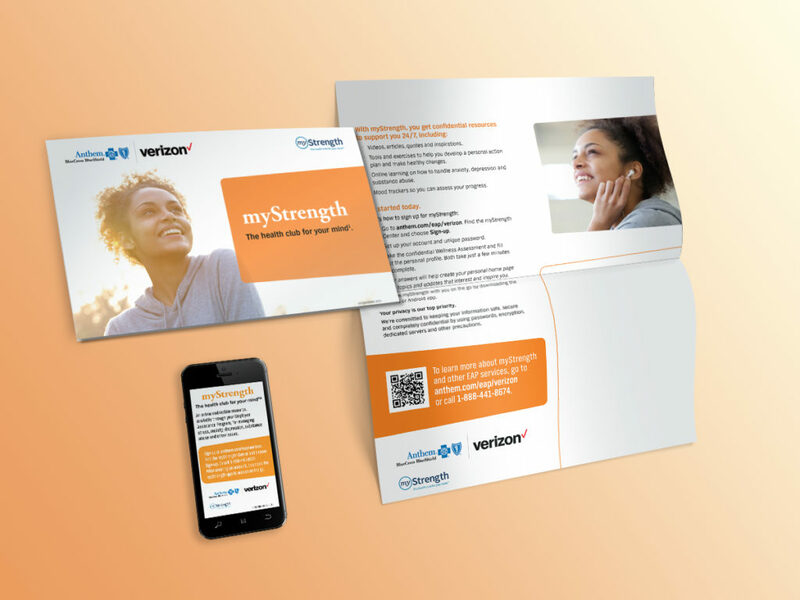 Verizon needed to educate their employees about an underutilized service provided with their health benefits. Working within the brand guides, we created a piece that outlined the service in plain language with bright colors and active lifestyle photography. There are several call to action callouts to direct the reader to additional information on the web and over the phone. And the piece also included a removable magnet that was die cut to the shape of a cell phone that the reader could put on their refrigerator as a handy resource.